While live poker recently enjoyed yet another successful World Series of Poker out in the heat of Sin City, it’s been a pretty rough ride for online poker in recent times. Bans, scams and general bad press and misinformation did more than bring the online boom to a halt, it very nearly threatened to wipe out what was becoming a healthy global pastime. Thankfully some companies got things right, continuing in their quests to build strong business around the globe, introducing new territories to the sport through legitimate channels, while preparing for the time when America will finally open its doors to the world of full houses and bad beats again. Surviving in this climate requires tenacity, perseverance and a canny ability for keeping the remaining customers hooked. Offering more games, more variants, more options and – frankly – more ridiculous things vaguely poker-shaped have proved key to keeping players tuned in and turned on. One particular ‘hit’ with players of late has been speed-related. Take your pick from Rush, Fast-Fold, Blaze, Fast-Forward, Zoom… to name but a few! Plenty of different names all effectively saying the same thing: if you’re a poker junky, you just want to be playing ALL the time! Full Tilt got the ball rolling with “Rush Poker”, a game where as soon as you folded one hand you got bounced to a new table and were immediately dealt a new hand. Sadly Full Tilt dropped that ball (along with a bollock or two) and PokerStars were swift to come to players’ rescue with “Zoom Poker”. 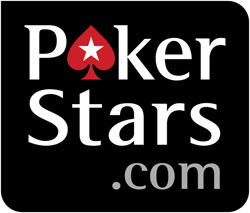 Of course this isn’t the only software improvement on PokerStars; new tweaks and touch-ups come into play on a regular basis, some massively obvious and shouted about from the rooftops, others more subtle in their influence on the player experience. So how does a company the size of PokerStars decide what changes to make and when to best leave alone? Lee Jones, currently Head of Home Games at PokerStars, has been involved in the professional poker world for over 25 years. Here he talks about how the company creates and deploys new software features. Casino International Online (CIO): How do you get the idea for new software features? Lee Jones (LJ): We have two major sources for our software features: internally and our customers. Internally, we have people whose whole job is thinking about the software client and how to improve it. Many of them have years of experience as professional or serious players and have given a lot of thought to what they want in a software client. Externally we have a huge base of customers who send us emails, post in the forums and occasionally Tweet ideas for how we could improve our software. We’re open-minded here; we don’t care where a good idea comes from as long as we get our hands on it. I don’t know off-hand which of our software features came from player ideas, but I promise you that some aspects of the PokerStars client that players take for granted (and couldn’t live without) were initially suggested by our players. CIO: How do you decide which features you’re going to actually build? LJ: That’s a seemingly simple but ultimately complex process. There are many factors: how much benefit players get from a feature (often a contentious issue itself), how much development effort it will take, how much our player community wants it, how it will affect other features, etc. After all that discussion some projects get started on immediately, others are put in the queue and quite a few end up on the cutting room floor (although some features that ended up on the cutting room floor ultimately found their way into the product via another round of review). CIO: How long does it take to develop a new software feature? LJ: Some can take just a few days if they’re easy modifications to existing features. Other complex features (Zoom being an excellent example) can take months to develop and initially test. This is magnified by the multiple licenses that we have, many of which require us to have a separate client solely for that license. One thing to remember about software development is that 90% of the time is taken up writing the software, and the other 90% is taken up testing and bug fixing! For instance, with Zoom we had innumerable internal testing sessions to verify that everything was working smoothly. This was particularly interesting because of the ephemeral nature of Zoom tables – you’d see something not quite right, but it wouldn’t be there long enough to confirm what you’d seen. So quite often somebody would “direct” the action at a table: “I’m going to raise, Bob, you call, then Joan you three-bet and everybody else fold back to me, etc.” We’re proud of our reputation for great software, so there’s a significant review and testing process for all of our features. CIO: Why don’t you announce feature release dates in advance? LJ: Basically, there’s no upside to pre-announcing a new software feature. Suppose that in June we say: “We’re going to have 3D poker in September!” (Nobody at PokerStars is working on 3D poker by the way). What good comes of it? We’ve gotten our players excited (assuming you like the idea of 3D poker) but after that announcement there’s not much to look at. More importantly, suppose we hit a snag during development and/or testing (which is virtually guaranteed)? September comes and goes and we don’t have the product out. Now you, the customers, are upset. Nowhere was this more obvious than when we put Zoom out for play money testing. Everybody promptly said “It’s ready – put it out for real money.” However, unlike the forum posters we see and track every single small bug or glitch that comes up during testing. We knew there were many issues (some moderately serious) even when the public seemed to think the product was basically perfect. So during that period we were inundated with requests for real money Zoom. Sending Zoom to pokerstars.net (play money) for our customers to hammer on was a great thing to do, but it demonstrates the downsides of telling people what you’re going to do before you actually do it. CIO: What’s the next software feature you’re going to release?